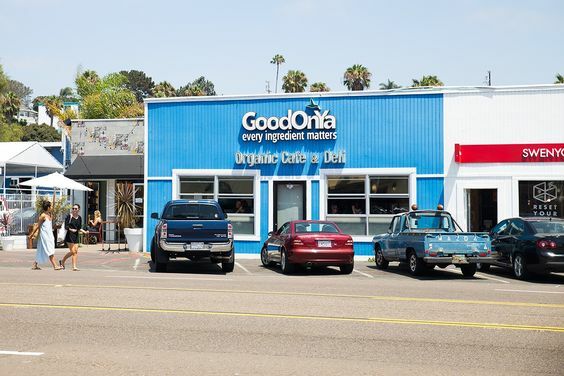 Before I get to the recipe for this delectable Dairy Free “Cherry Garcia” Ice Cream, I need to gush for a minute about the adorable town I live in (Encinitas, CA) and my love of farmer’s markets. Let me say initially that I am not by any means a native west coast gal. I was born and raised just outside of Manhattan and while I absolutely love my new home in San Diego, a little bit of my heart will always belong to New York and the east coast. Having said that, despite my east coast roots, California really has checked off so many boxes on the “Things I would love my hometown to be” list. The weather, first and foremost, should be a given. When I first moved out here I was a little surprised it wasn’t hot year round. I was expecting a more tropical climate which honestly I thought, wouldn’t be that bad. But no, that is the beauty of San Diego. The weather is better than just “always hot”. It is really just consistently pleasant. It rarely gets too hot and it never really dips below 60 during the winter months. In addition to the weather, the long list of amenities in my small beach down, let alone the rest of San Diego, is pretty unbeatable. Loads of healthy restaurant options, gorgeous scenery, the ocean AND mountains, ample outdoor activity options and consistent local and seasonal food choices are really just some of the many perks. 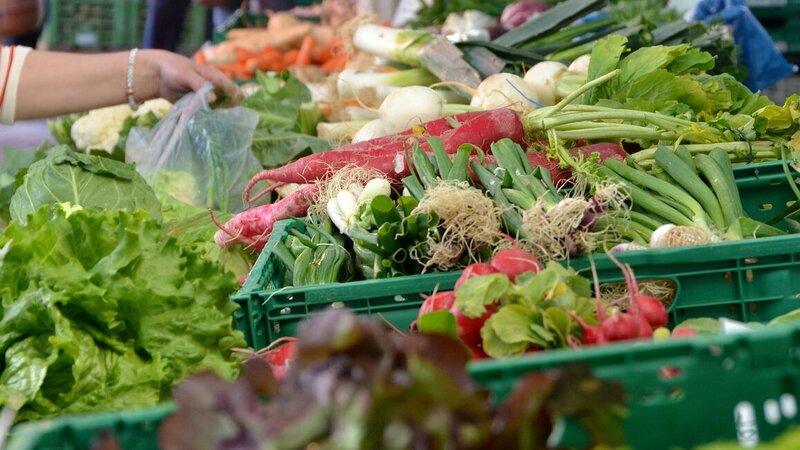 That last one, local and seasonal food choices, is particularly amazing. 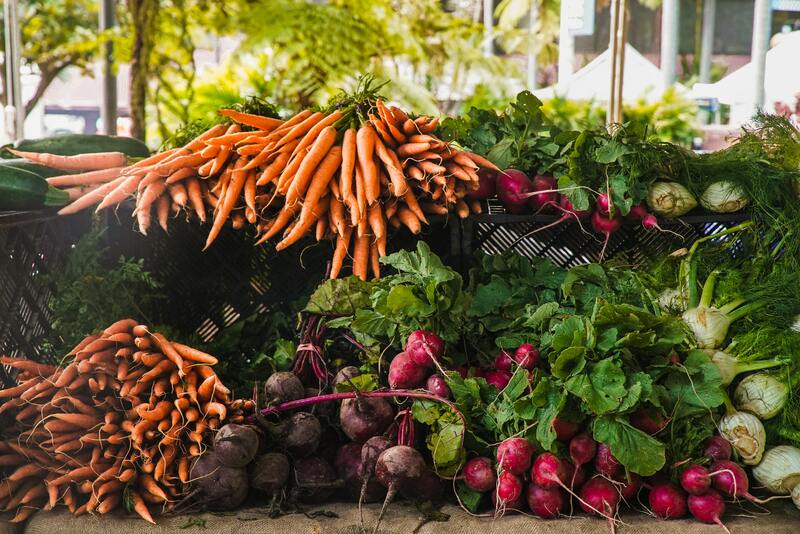 To be fair, even in New York, there are plenty of local options, but southern California is definitely an overachiever when it comes to farm-to-table restaurants and farmers markets. Not to mention, the climate is so nice and we’re so close to Mexico, that there really isn’t really an “off” season when it comes to farming. 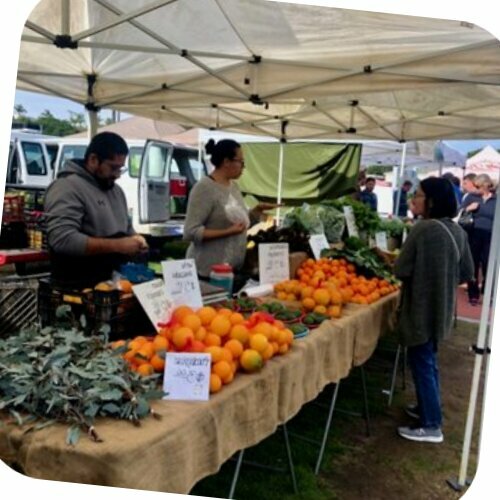 It is no surprise that California is the state with the highest agricultural exports in the country and I am extremely thankful to have access to such a large amount of local and seasonal ingredients year round. 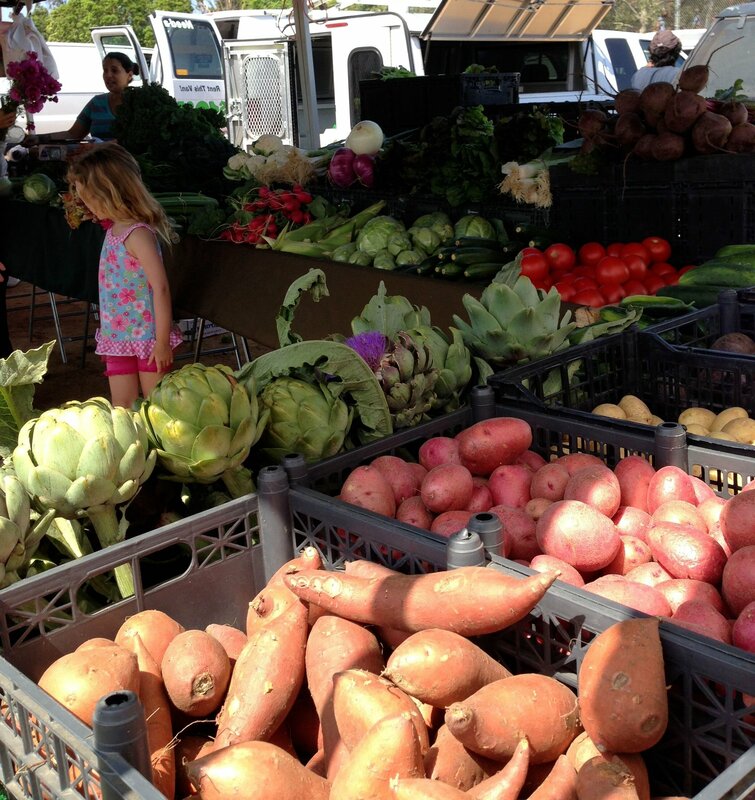 This week I got to the farmer’s market a bit late, but that’s not always a bad thing. 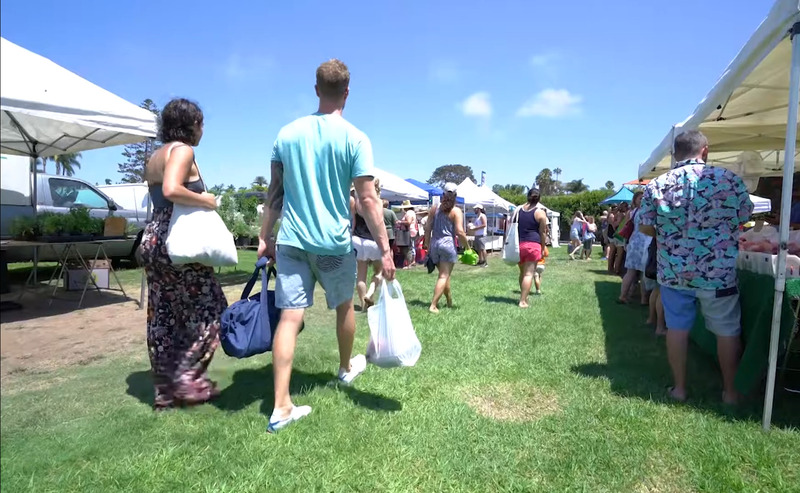 You may have less options at the end, but a lot of the vendors provide discounts when the market is closing. When I arrived I wasn’t sure what types of fruits and veggies I would find, but I very happily settled on two pounds of assorted cherries from Smit Farms. We were told that this would be the very last week of cherries, so how could I resist?! I actually got so many cherries that I am going to be creating not one but TWO delectable cherry dishes. 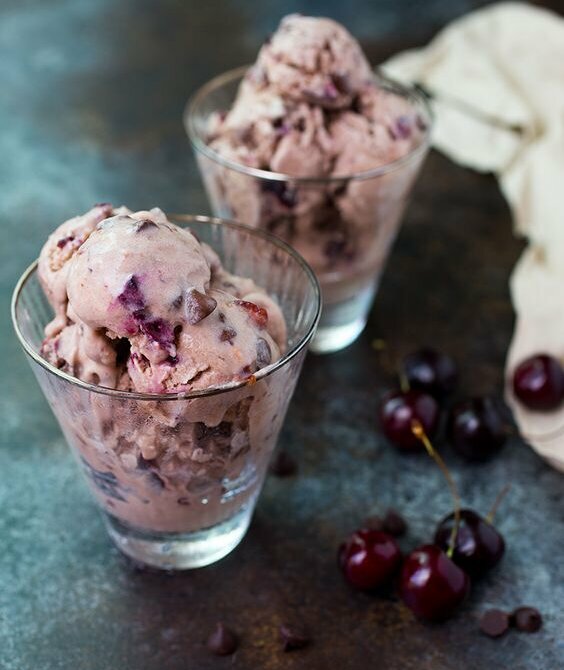 First up, this Chocolate Cherry Dairy Free Ice Cream or twist on the Ben & Jerry’s classic, “Cherry Garcia,” is an amazingly fresh and guilt-free indulgence for any summer occasion. 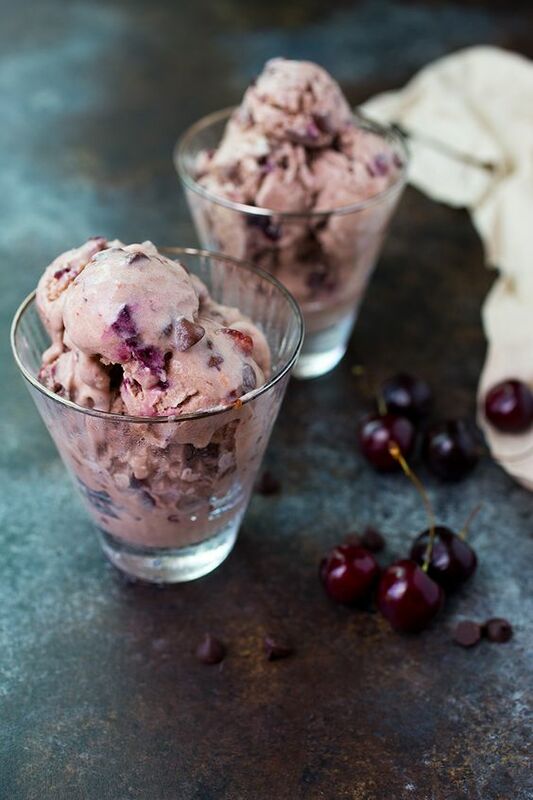 I am normally not a fruit with ice cream kind of person, but the combination of fresh cherries at the very peak of ripeness with satisfying and rich chocolate chips… even I can’t deny the perfection. 12oz fresh cherries (about 1.5 cups), pitted and diced, separated. Depending on how big you want your chocolate pieces, either leave your chocolate chips as they are or pulse in a food processor for smaller pieces. Keep in mind larger chocolate pieces when frozen are difficult to eat. I like it that way but many people don't! In a high speed blender, combine the coconut milk, banana, half of the cherries, coconut nectar, vanilla extract, almond extract and a couple pinches of salt. Add blended mixture to an ice cream maker (make sure the bowl is fully frozen!) and allow to process for about 15 minutes. 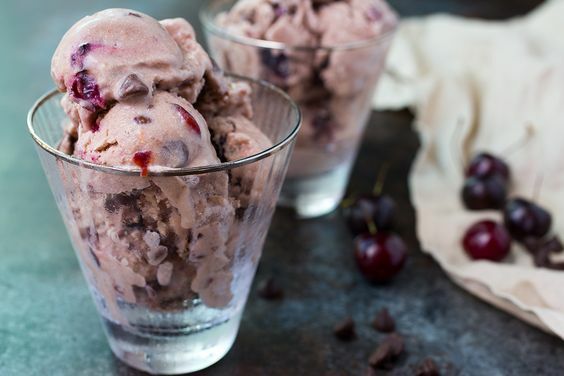 When you are about 5 minutes from the ice cream reaching its desired consistency (it should be about 20-25 minutes total), add the remaining cherries and chocolate chips. Once the ice cream stops churning in the machine, it's done. Eat right away for a softer ice cream or freeze for about 1 hour before eating for a slightly harder and more frozen treat. « Whole30 1 Week Meal Plan, Kitchen Tools & Giveaway! Holy F*ck YES this recipe!!. also, this background is fire and I want it! 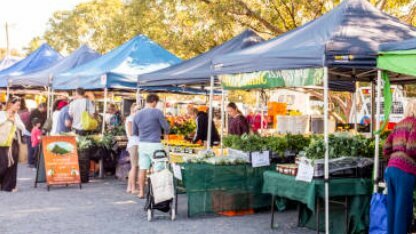 The idea of market dollars is so cool for small businesses, I wish we had that in my town! Also snagged the last cherries this week, so I can’t wait to try this recipe out!